So fun! I have yet to be able to celebrate a birthday for my son and I am waiting for it anxiously! 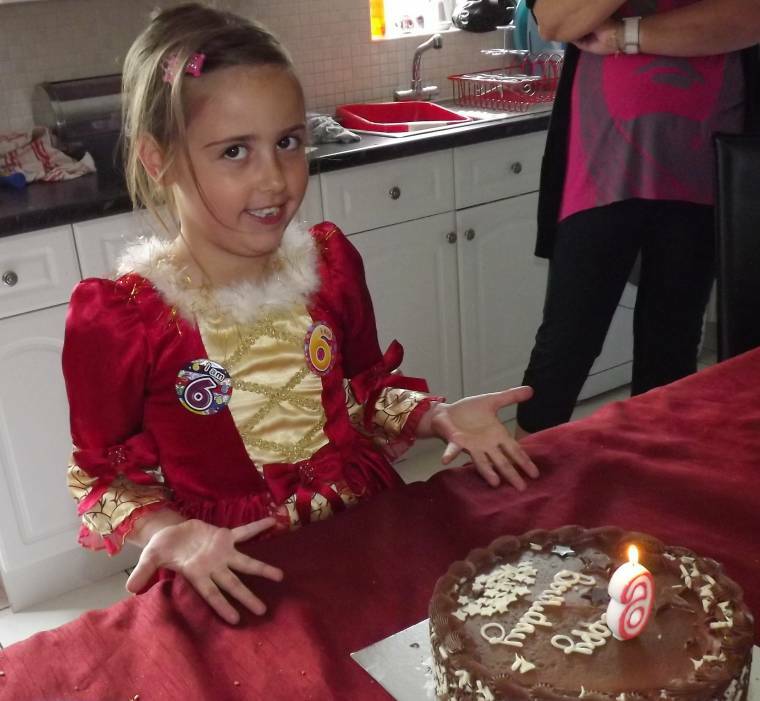 Birthdays are exciting, Happy Birthday Miss 6 Years Old! Happy 6th Birthday to this beautiful princess and to her mama that brought her into this world! She looks very happy and long may that continue. I find cake usually helps an choccy too of course.Like looking at the background too. Is that a fancy cake stand and love the discarded teatowel.